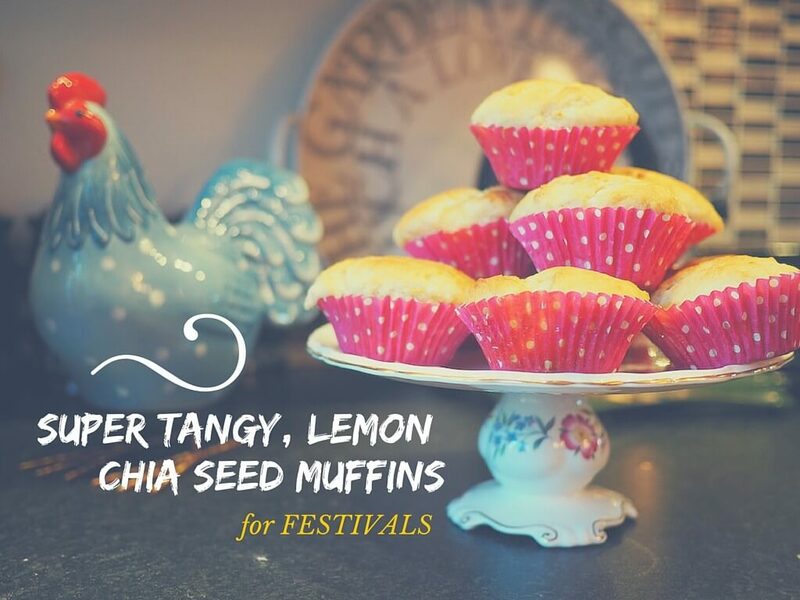 Light, cheap, can be cooked on a camping stove and hardy to the changing weather elements – that’s what you want from your festival food choices. Some festivals will have a comprehensive eating area where the food is the star attraction, along with the acts of course. 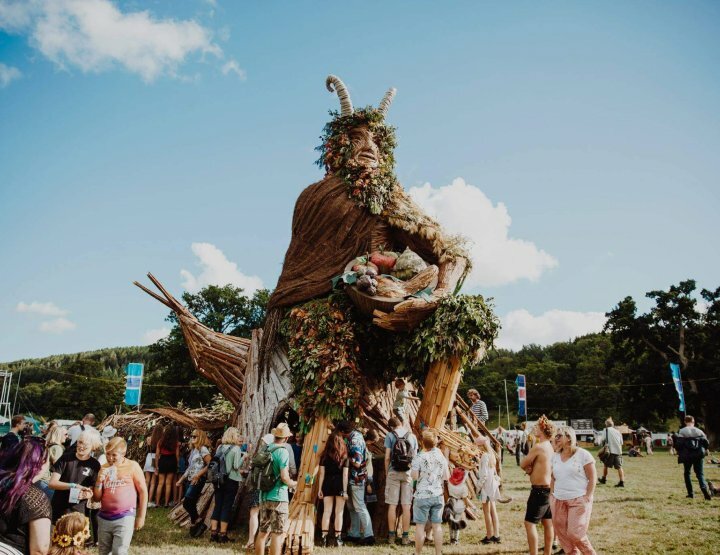 These foodie festivals like to have artisan foods in and keep their vegetarian, gluten-free, pescatarian and meat needers alike all happy together. But you just never know, so when it comes to food at festivals in pays to be prepared. 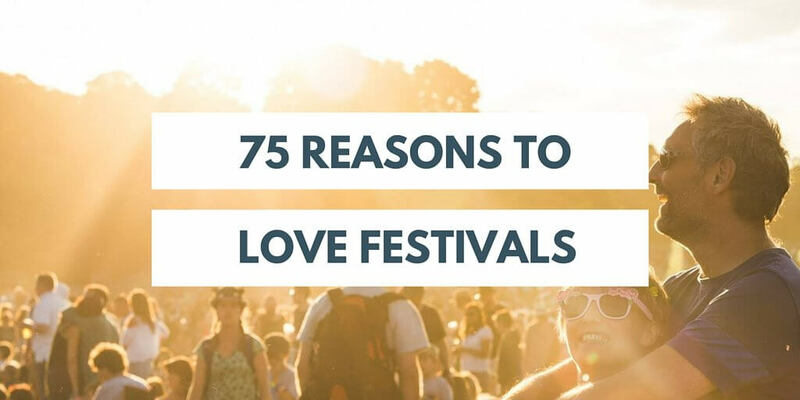 You’ll also save money at your festival by taking your own scram along. I’ve only ever been to one festival that didn’t let you take food in and that was Field Day in 2012. It was sad. Everyone was sat out the front chomping away at their carefully prepared sandwiches. They seemed to have relaxed a bit in 2013, but as I say, best to be prepared. Cereal – I like to eat Weetabix Minis straight out the box, but feel free to substitute for your cereal of choice. Dried fruit – great for keeping you regular and getting your 5-a-day in amongst all these sweets, chocolate, bread and crisps you’ll no doubt consume. Dried fruit is also great in the couscous mentioned below. Yogurt drinks – a little heavier to carry than I’d prefer, but at least the bottles are robust and will assist the dried fruit in the digestion. Oranges – now here’s a bit of refreshing health for you, and they come in their own handy packaging too. Frozen berries – these can be used for ice as long as they last, and then you can eat them by the handful. Couscous – cheap, easy to make with hot water and semi healthy, mix with the raisins above. Cereal bars – great for a snack on the go and for carrying around in your bag by day. Beans – always good to have in storage when you get desperate. Heat them up and stick them in a wrap and they’ll be well tasty. Flapjacks – my friend once made a batch of these for Glasto, delicious and went in just a few hours. Transport well. 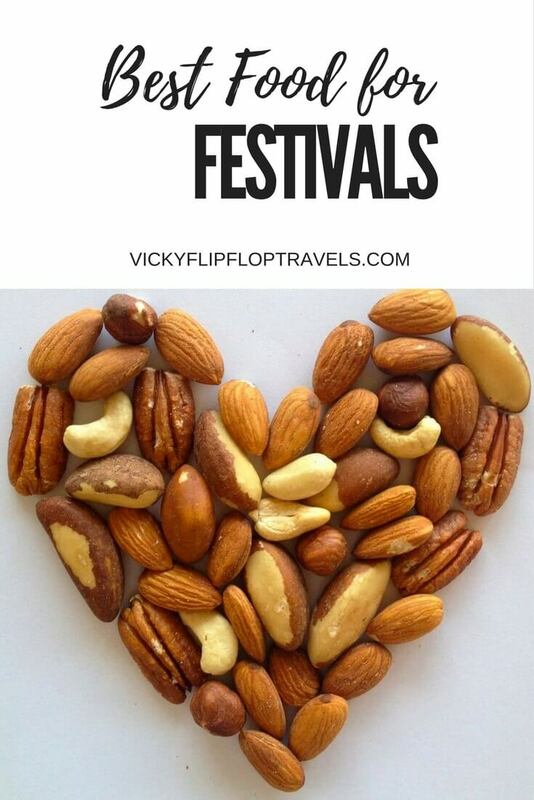 Nuts – full of good fats, filling and easy to carry around, grab yourself a big bag of these hubs of deliciousness. Sausages – at Glastonbury the weather was so cold the first few days we were fine to have sausages to cook on our camping stove. Shame I burnt them, but down the hatch they still went. Bread rolls – mmm crisp sandwiches, see below. Cheese – depends on the heat but could be delicious for the first day or two with your crisp sandwich. Sweets – yep yep, you need the energy so stick them in the shopping basket. Chocolate – same, go for the Double Deckers, my favourite. 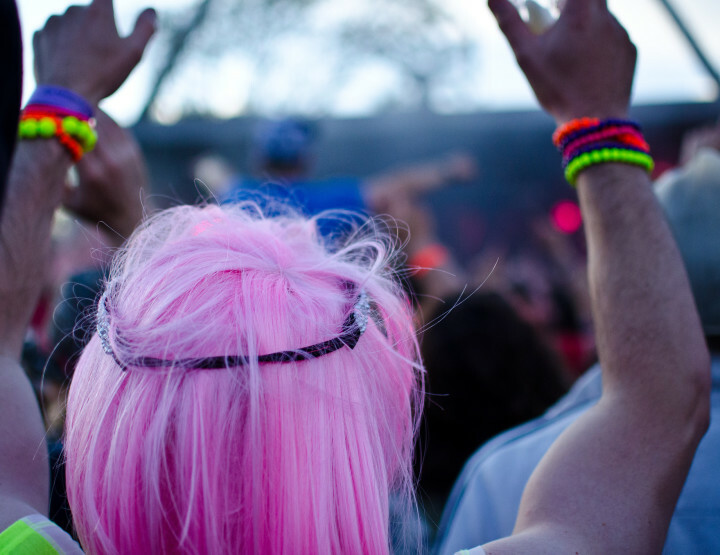 Crisps – light and cheap, perfect for your festival binge. Pot Noodles – pretty much lived off these at Reading Festival. We actually took a few trays of them with us and sold them on at a profit. Biscuits – always good with a cup of tea, and definitely needed for energy levels throughout the day. I’d always go for Cadbury’s Fingers, or maybe a digestive? 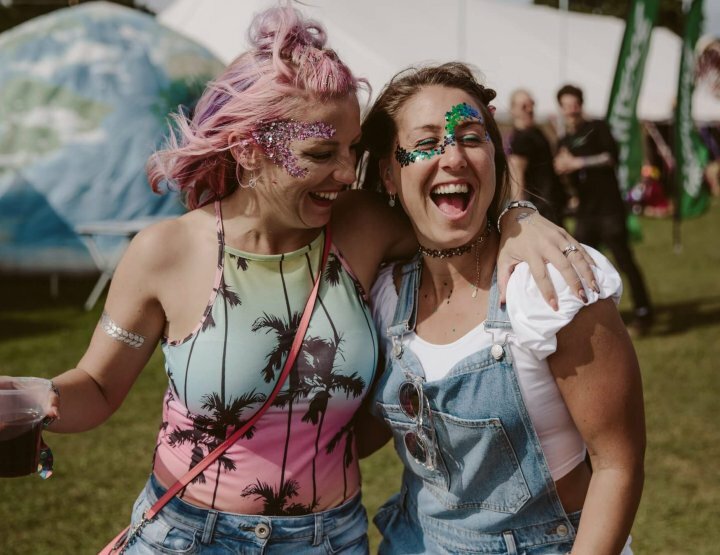 Wraps – more robust than bread and thanks to the hefty packaging on some brands they’ll withstand the epic weather conditions at British festivals. Marshmallows – obviously, needed for the possible camp fire opportunities. 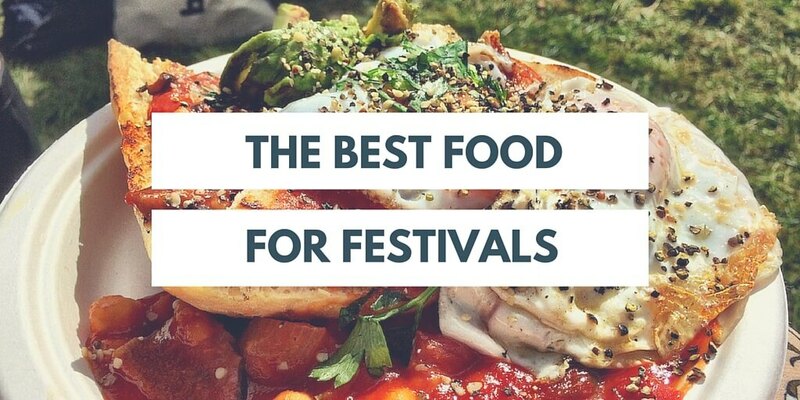 Any good festival food recommendations I’ve missed out? i have recently discovered Cider in 5 or 10 litre bag in boxes, The Cambridge Cider Company sell them and they are brilliant for festivals, no glass, no queing, and lots of lovely cider. Oh nice, any suggestions on how to keep it cool? Hi Karen, I used a gas stove to do it but if you're not allowed that then I'm afraid you're going to have to stick with the other suggestions. Sounds like they're cracking down a bit.